Phytotherapy is modern herbal medicine applying scientific research and the highest professional standards to the practice of herbal medicine. Phytotherapists are dedicated herbal practitioners with specialist university training. They combine orthodox medical knowledge and skills with scientific understanding of plant medicines. Phytotherapy uses plant remedies in the treatment of disease. it is the oldest form of medicine known – practised in many cultures for thousands of years, and even today, by 80% of the worlds population. Whole plants and plant parts are used throughout the world in herbal concoctions. Herbal remedies can be taken in the form of teas, capsules, tablets, extracts or tinctures, which are tailored to the individual, not just his or her symptoms. 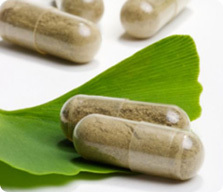 Herbal medicine’s effectiveness is due to the biological activity of its natural ingredients, chemicals and compounds. Many conditions can benefit from the use of herbal medicine ranging from a simple common cold to chronic degenerative diseases.